This page and the files linked to it are a source for information regarding the work of film director/producer Stanley Kubrick. 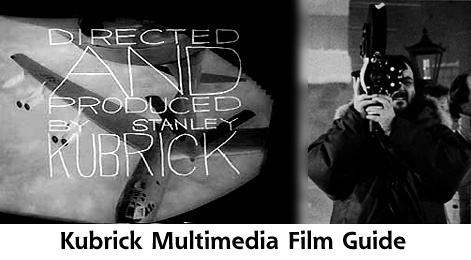 The site leaves the interpretation of his films to the viewer and serves mainly images and sounds from Kubrick's films. Included for each film is a link to the Internet Movie Database. Use these links as a source of information such as cast and crew. Also included are hypertext links to the Voyager Company. Voyager makes laser discs of some of Kubrick's films and their site includes some info and Quicktime clips. Finally, I've included some of the resources I've used to compile information and a rumor page for Kubrick's next film. Enjoy. Please send any comments or suggestions to me or sign my guestbook at the bottom of the page. As listed at the Internet Movie Database. Other sites related to particular films included in film sections. Enter your thoughts on the page and the artist and read hundreds of others. Why I created this page.